What’s the newest and hottest trend in math right now? That’s right! Math Workshop! Would you like to implement math workshop but don’t know how? 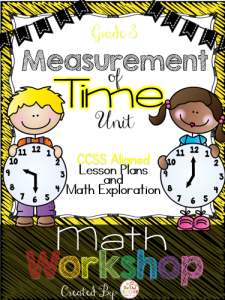 Are you new to math workshop and are still trying to figure it out? Why not let me do that work for you! I’m constantly creating new products – including more units in math workshop! Follow my store to get updates on the newest materials! Don’t forget to follow my blog and social media for lots of tips, ideas, and freebies! Copyright The Owl Teacher. All rights reserved by author. This product is to be used by the original downloader only. Copying for more than one teacher, classroom, department, school, or school system is prohibited. This product may not be distributed or displayed digitally for public view. Failure to comply is a copyright infringement and a violation of the Digital Millennium Copyright Act (DMCA). Intended for classroom and personal use ONLY. I love it when you share my products with your colleagues but please do so legally! Thank you!